I am extremely honoured and thrilled to be named as the SCTA / Protector Aluminium 2018-2019 Junior Sholarship holder. I am very fortunate to be given this opportunity and will do my very best to represent SCTA with a respectful and professional manner. I am 13 years old and have been competing in triathlons competitively for about 1 ½ years now. Throughout this time I have learnt the hard work and dedication is needed to succeed in triathlon, along with many learning experiences through training and races, which has overall made me a better person. I was introduced to triathlon through a swimming back ground; I was 3 years old when I began swimming which has helped me a lot recently. I started swimming competitively when I was about 7 years old, which has helped me develop the competitive manner that many people know me for. ​I was fortunate enough to win the 100m breastroke at the national championships in Adelaide when I was 10 years old. I believe this helped me develop as an athlete as it gave me a real taste of winning. I eventually got quite tired of swimming and wanted to try something new, that’s when I started to do cross country. ​Still to this day I am running cross country and athletics competitively, along with triathlon. I have been quite successful with my running; I believe this is from the mental toughness supplied from swimming, along with some amazing coaching. 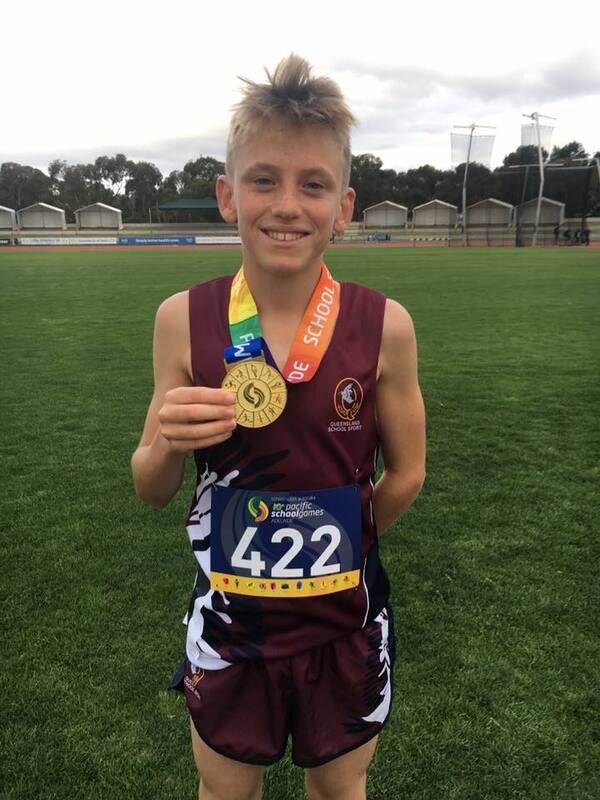 A major achievement in running was last year where I won the 1500m national title. I began doing triathlons through my Mum and Dad, they were doing a few at the time and I wanted to try it. 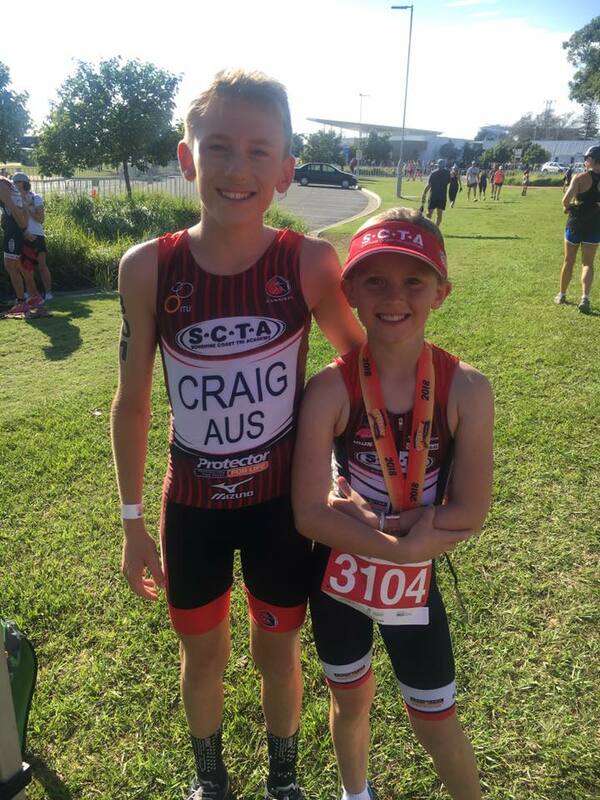 I did a few Koolkidz tri’s when I was a bit younger, which then lead me to joining SCTA when we moved down to the Sunshine Coast from Gladstone (late 2016 and early 2017). I had competed in the state champs for the Aquathlon in Hervey Bay, when I was younger and was very eager to be able to compete in triathlons. I was unexpectedly picked in Queensland team for the AJTS last year, which gave me a good taste of competing on a bigger stage. I was extremely happy with how I competed against boys the year older than me, who were good competition for me to try and beat. I had seen a massive improvement throughout the season, with credit to coach Toby Coote, who has helped me massively in the sport of triathlons. I have been fortunate enough to be selected in the Queensland team again this year, where I will be top of the age group. I am extremely excited for this season to see what I can achieve, and looking forward to representing SCTA with the junior scholarship! I would love to thank all the sponsors of SCTA including Vorgee, Clif Bars Australia, Cannibal Australia, Mizuno Running Australia, Tara Leanne Nutrition, Rydges Hotels and Resorts, The Event Crew, Intune Sports Massage, Ironman Oceania, Allez Sport Mooloolaba, Davey and Associates Optometrist, Stratton Finance Mooloolaba, Felt Bicycles Australia, Titan Performance Group and of course Grant Symes from protector Aluminium for all the hard work, effort and all the support provided for us young athletes.